Asher Hamburger was born in the village of Altenschoenbach, near Wuzburg, Bavaria, in 1821. At a very young age, he was apprenticed to a rope-maker. At the age of 18, Asher Hamburger, along with a brother, immigrated to the United States, arriving in 1839. Asher Hamburger found work in a tassel factory in New York. As soon as he had saved enough money, he started a small general store in Pennsylvania. Another brother arrived in 1843. The three of them moved to Alabama, where they opened three stores along the Tombigbee River. In 1850, when word of the California Gold Rush reached the South, the Hamburger Brothers headed West by way of the Isthmus. Sacramento was their destination, but it did not prove to be the ideal spot. 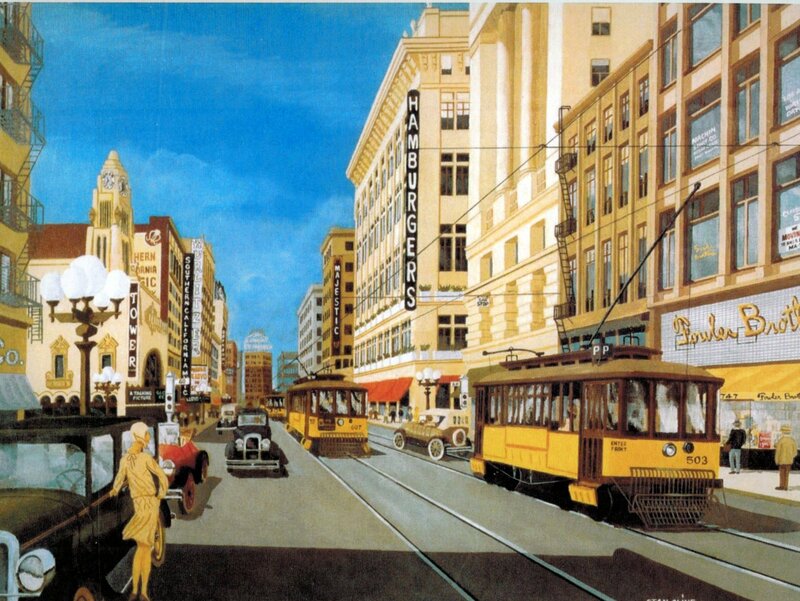 In 1851 two brothers moved to San Francisco. There, they started a wholesale mercantile house under the name of Hamburger Brothers. Asher Hamburger was left in charge of the Sacramento store. 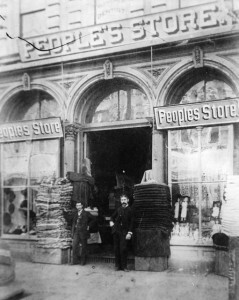 In spite of fires and floods, Asher and his two sons kept the business going until 1881, when David and Moses Hamburger convinced their father that Los Angeles offered far better opportunities. The Hamburgers called their Main Street establishment The People’s Store, catering to working-class customers. The business thrived. 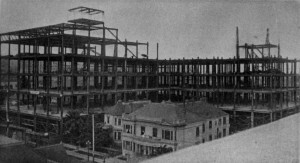 In 1908, the Hamburger Building was built, housing Hamburger’s Department Store, which at the time was the largest modern steel-frame building. 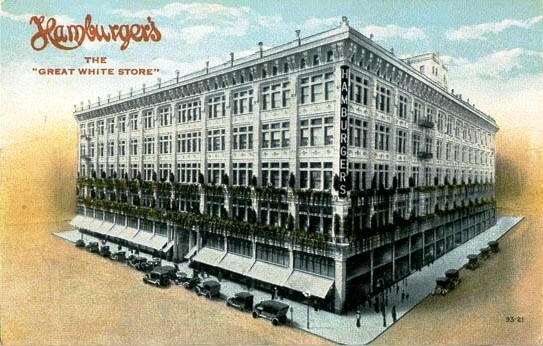 It quickly became Los Angeles’ largest and most important store. 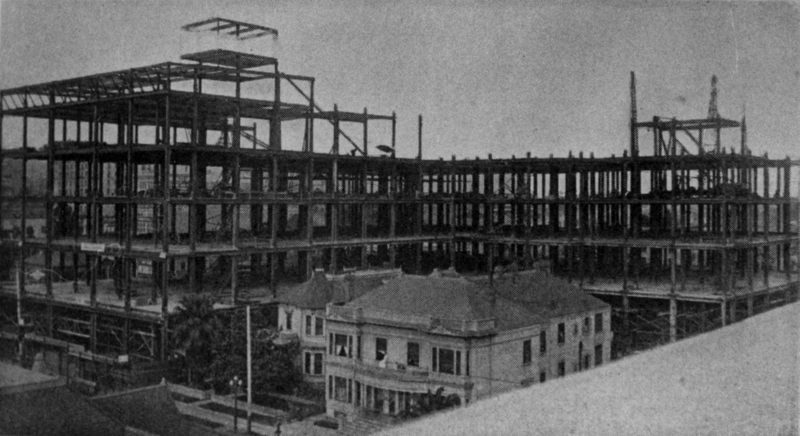 Attached to the south end of their building, the Hamburgers built a theater: Hamburger’s Majestic Theatre. It was built for full stage shows and even opera. 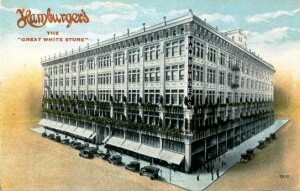 The store was sold in the 1920’s to David May of the May Company of St. Louis. After World War I, there was a large flow of immigrants into New York. 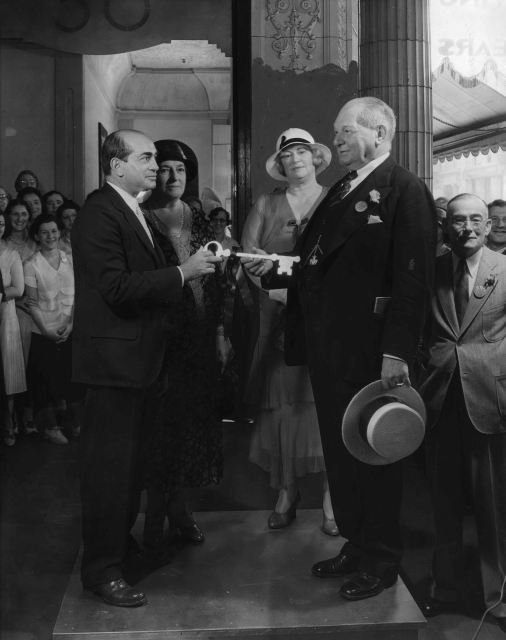 The Industrial Relief Office was formed to help move immigrants to other parts of the United States. The Hamburgers were very active in this program, offering free transportation to qualified immigrants to work in their store. David Hamburger was a member of the board of La Fiesta de Los Angeles, as part of his membership in the Merchant’s Association of Los Angeles. David was also the organizer of the Employers’ Association, a group founded to help control trade union problems. 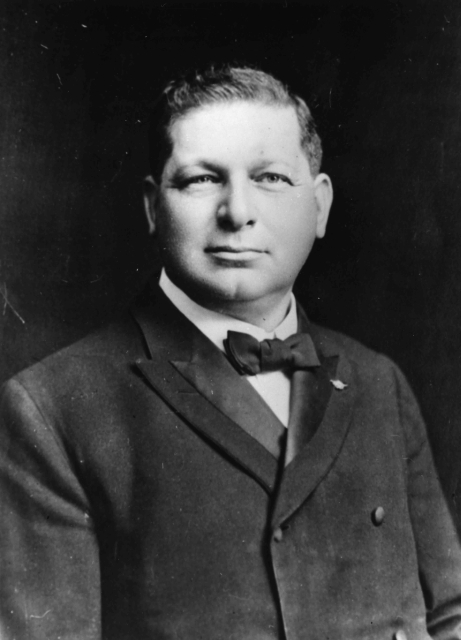 Moses Hamburger served as President of the Semi-Tropic B’nai B’rith Lodge. Asher Hamburger married Hannah Bien in 1855. 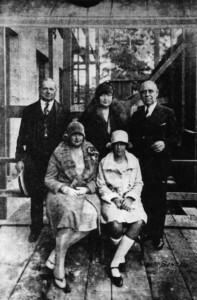 Together, they had seven children, six of whom survived to adulthood: David, Moses, Belle, Mrs. Otto Sweet, Mrs. Jennie Marx, and Miss Evelyn Hamburger. 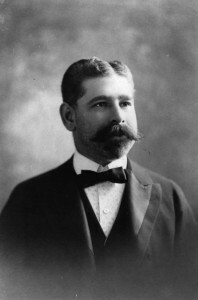 Two of their children were involved in the business were: Moses (1857-1944) and David Hamburger (1860-1930). 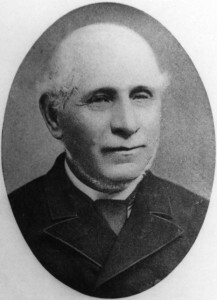 Asher Hamburger died in 1897, and is interned in the family crypt at the Home of Peace Cemetery in Los Angeles. Hannah Bien Hamburger died in 1907, and is also interned in the family crypt. 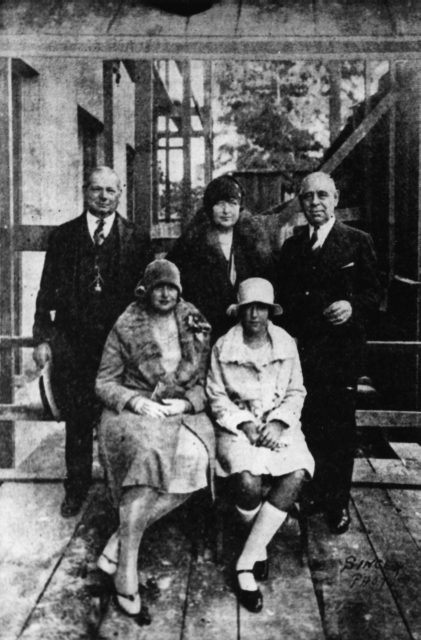 Martin Meyer, The Jews in California (San Francisco: Emanu-El, 1916). David Epstein is curator for this Hamburger Family exhibit. “Thank You” to Natalya Lukin for German location spelling correction.